Shared office space company WeWork signed an agreement to lease four floors at a new bulky office building currently being built in Tel-Aviv, the developers announced Monday. 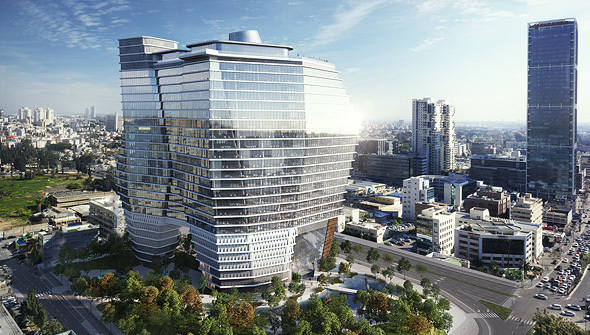 The new building designed by Israeli-born architects Ron Arad and Avner Yashar, is located near the new Azrieli Sarona Tower, where multinationals Amazon and Facebook have already rented office spaces. The deal is valued at over $85 million (300 million NIS), according to the company’s announcement. WeWork is leasing a 140,000 square feet (13,000 square meters) space for 15 years at the new tower. Called ToHa Tel-Aviv the new office building currently being built near one of Tel Aviv’s busiest traffic arteries. A joint project of developers Amot Investments Ltd. and Gav-Yam Bayside Land Corp. Ltd. the building will have 26-floor with sprawling 28,000-37,000 square feet of office space each, and a total space of over 600,000 square feet, designed to resemble an iceberg. A first of two buildings currently under construction, the building is expected to be completed by the end of 2018. The second building will have 63 floors and nearly 1.2 million square feet. WeWork’s ToHa offices are the latest of nine locations the company opeates in Israel.The company operates four other offices in Tel Aviv, and additional offices in Jerusalem, Herzliya, 9 miles north of Tel Aviv, and the southern city of Be’er Sheva in the Negev desert. WeWork is also planning to open an office in the northern port city of Haifa. ToHa developers Gav-Yam and Amot Investments said that WeWork had chosen the new ToHa office to be the company’s premier location in Israel, and that they expect WeWork’s presence in the building to help make it Tel Aviv’s new tech hub. 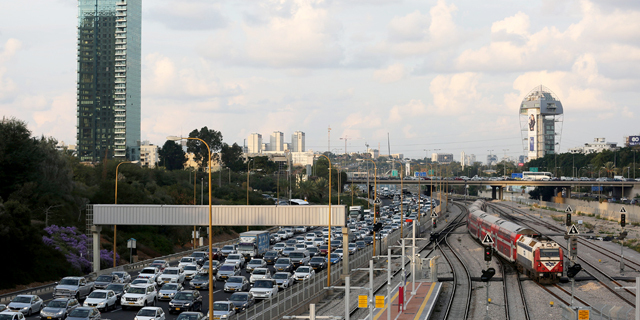 ToHa complex is located near a main public transportation hub, and to the new Azrieli Sarona Tower, considered Israel’s hottest tech real-estate. Set to open in 2018, Azrieli Sarona is set to house the offices of Amazon, Facebook, Magic Leap Inc., Citibank, IronSource Ltd., and SimilarWeb Ltd. Shared office space startup Labs has also rented a space at the building. The Azrieli Sarona Tower was built with an investment of over $426 million (1.5 billion NIS), one of the most expensive real estate projects in Israel to date. Last week, WeWork announced its plan to open a San Francisco headquarters in the Salesforce Tower, set to open next year. In October, WeWork has announced it has acquired the Iconic Lord & Taylor’s flagship store on New York City’s Fifth Avenue for $850 million. We Work set to move its New York headquarters there in Early 2019.